Top 10 PCB Designing software are listed below with their detailed description. Hello friends, hope you all are fine and having fun with your lives. Today, I am going to share an informational tutorial about top 10 PCB design Software. These PCB design software are used for designing PCBs. In all engineering projects especially related to electronics, PCB designing is an important task and in order to design the PCB we have to use some software. There are many software available in market and today, I am gonna give a complete list of PCB Design software. There are few things, which you must remember before starting your PCB design. When you start your project, never jump directly to PCB designing. Instead, you must first design your circuit on wero board or bread board and then test it out. Once you confirmed that all features of your project are working perfectly, then you should move to designing part. If you started the PCB design at first then there’s a chance that you miss something in your hardware and then your PCB boards will simply go to waste. So, first design your hardware temporarily adn then test its working and then design your PCB board. You can also simulate your circuit design on some software before designing its PCB. Anyways its up to you. When I design any project then I first design hardware on wero board and then once its perfect then I design its PCB board. 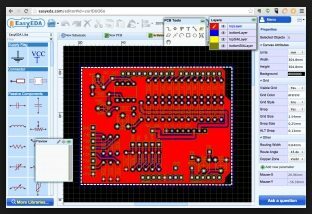 Anyways, now let’s have a look at top 10 PCB Designing software. 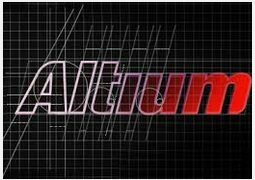 Altium is at first rank in my list of PCB Design software. You can get this software from their official site. Altium is used for designing PCB boards, you can design PCB of any layer in this software. Its very powerful and has a long list of tools for editing or designing your PCB board. Its a paid software and you can buy ti easily from their official site, whose link I have posted above. You can also create the component list, BOM file etc in this software. You can also design flexible PCB designs in it and can also check their 3D simulator to know about the final shape of your PCB baord. 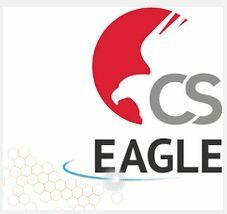 Eagle is another great PCB design software which comes after Altium software. Its also quite powerful and has great list of tools for designing your PCB board. Eagle is the most commonly used PCB Design software as its easy and quite flexible in its features. Eagle has quite a lot of support available online in forums as its quite an old software. It also provides the component list and the BOM file etc. 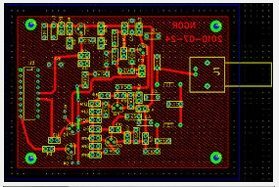 This one is my favorite PCB Design software and if you have read my blog then you must have the idea how much i like this software. In Proteus you not only design your PCB boards but also can simulate your complete circuit design. When I design a PCB board then I first design its simulation in Proteus and then I move on to designing its PCB board. It also has quite flexible tools using which you can design your PCB board and then can also check its 3D design. So, if you ask me then I will recommend you Proteus software for PCB designing. If you wanna start working in this software then you must read How to do PCB designing in Proteus ARES. 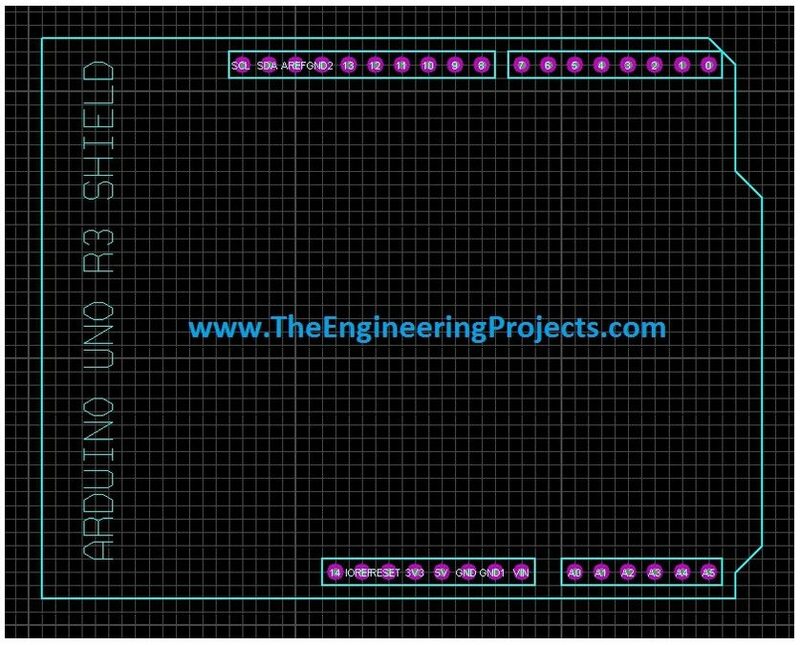 I have also shared a the PCB design of Arduino UNO baord which you can also download from this link. Fritzing is another tool used for designing PCB boards. I like its interface. It has quite attractive and user friendly interface and you can design your PCB layout in it quite easily. But drawback of fritzing is that its not professional software, it has quite small list of components available in it so I never thought of using this software for PCB Designing. But if you have simple designing then give ti a try, you are gonna like it. TinyCAD is also used for PCB Designing. and is quite famous. It also has a long list of tools for designing your PCB boards. Its quite similar to Eagle software and is easy to learn and operate. When discussing PCB Design software, then how can we forget ZenitPCB. It also a great PCB Design software which is used for PCB designing in quite efficient way. Its easy to use and has a user friendly interface. ExpressPCB is also a cool tool for design your PCB boards. Its good for new users as its easy to use and learn. You can learn this software just by watching its single video. Its too easy to get started with and have a cool and user friendly interface. 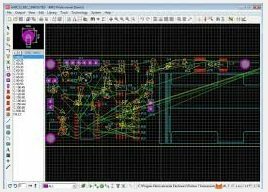 KiCAD is an open source software which you can easily download online and is also free to use. Using this software you can design PCB boards up to 16 layer quite easily. It is rich with PCB designing features and can handle complex designs quite easily. 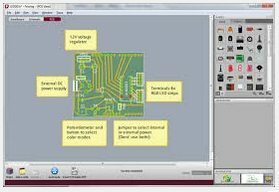 DesignSpark PCB software is also another great tool in the list of free PCB Design software. Its also a flexible software with a lot of tools and options for PCB designing. You are gonna like this one if you need quick and easy PCB designing. EasyEDA is also used for design PCB boards. It also has a user friendly interface and is good for first time user as it has everything in front and one can design PCB boards quite easily in it. You can also design multi layer PCB boards in it. It has small database of components that’s why you have to design your components on your own while using this PCB design software. That’s a long list of PCB Design software. These all software are quite easy to use and anyone can work on them just after a little training. So, you can select any of them for designing your PCB boards. If you ask me then I will recommend Proteus and Eagle software as I use the for designing my PCB boards.